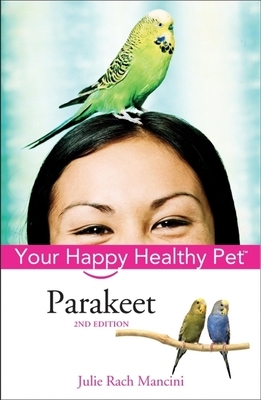 Parakeets can live up to eighteen years. That's a lot of companionship from a colorful little character who will undoubtedly find a perch in your heart. Birds have been an important part of Julie Rach Mancini's life ever since her father built a window shelf to feed pigeons as mealtime entertainment for her when she was a toddler. Her parents got her first bird, a parakeet named Charlie, when she was six, and she kept a special African grey parrot named Sindbad for more than ten years. Professionally, her interest in birds began to combine with her love of writing when the editors of "Pet Health News" asked her to write about bird health in 1988. She assisted in the preparation of the first issue of "Birds USA," a successful annual publication aimed at the first-time pet bird owner, and became managing editor, then editor, of "Bird Talk" in 1992. Julie has been a freelance writer since 1997, with pets as her primary focus.